The Duchess of Sussex stole the show in a stunning blue dress on Monday alongside husband Prince Harry during a meeting with the King of Morocco. The royal couple looked picture perfect as they left King Mohammed VI’s residence in the capital city of Rabat for the final engagement of their whirlwind Moroccan tour. The two reportedly spent around an hour with the king and his immediate family at the royal residence where they presented a letter from Queen Elizabeth II to the king. 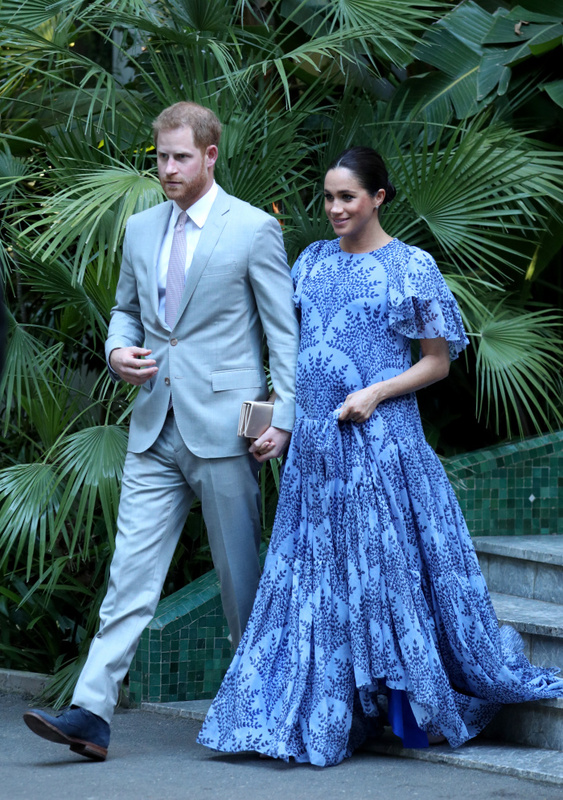 It was the third outfit change of the day for the mother-to-be, who had a full schedule on the couple’s last full day in Morocco. Meghan sported a simple pair of black jeans and a striped jumper for the morning events with a khaki jacket thrown over the top during the colder parts of the day. The couple’s first outing of the day was to the Royal Equestrian Club – a centre in Rabat that provides equine therapy to children with disabilities and mental health challenges. Here they met with children and young people who use the facilities and witnessed the benefits the therapy is having on them. Prince Harry and Meghan then immersed themselves in the Moroccan culture by joining a cooking demonstration with Chef Moha and children, who were cooking traditional dishes. Many of the children involved are from underprivileged backgrounds, and are part of a scheme to help open up the restaurant industry to young people. During the royal couple’s visit the children made a special dish called Moroccan pancakes from the book Together: Our Community Cookbook. This book is supported by the duchess and celebrates the power of cooking to bring communities together. 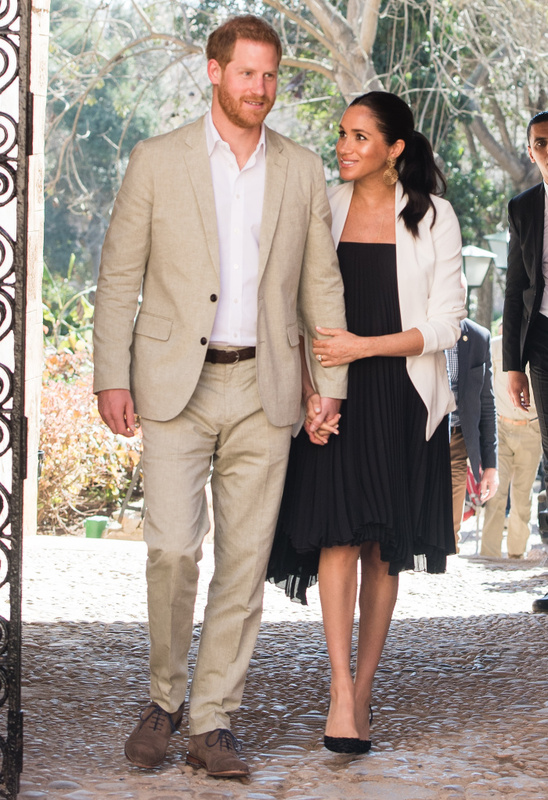 Following the cooking class the pair made their way through the Andalusian Gardens where the duchess wore a gorgeous pleated black dress complete with a white blazer. Here the royal couple met with young social entrepreneurs who have been working hard to address issues in the community. “Their Royal Highnesses heard more about their latest products and the transformational impact they have had on the local community,” Kensington Royal wrote on Instagram. Have you been following Prince Harry and Meghan’s tour of Morocco?